Ancient folklore among the Sinhala of the island of Sri Lanka at the southern tip of India tells how limes originated during a fight between two cobra gods. Their fangs became the lime seeds and their poison became the acidic juice. Recent studies suggest a phylogeny that places the origin of true limes at Malaysia, about 1,500 miles east of Sri Lanka. Limes are a natural hybrid between domesticated citrons and a wild species of Papeda, a noncommercial citrus subgenus. 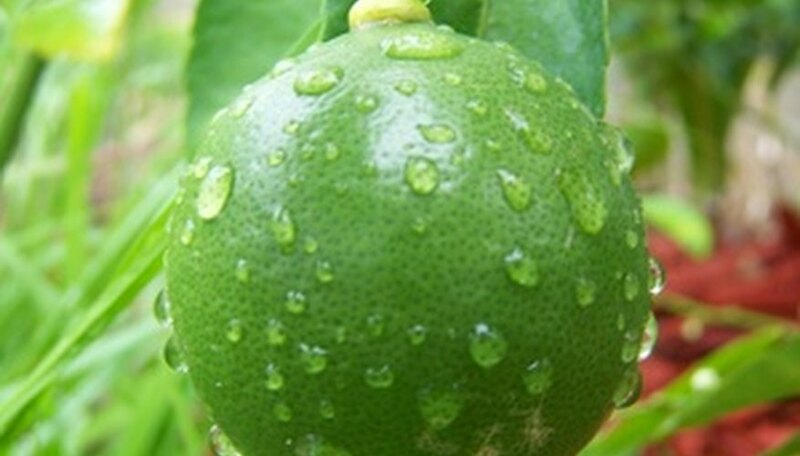 Citrus aurantifolia, the true lime that originated in Malaysia, is now known as the Mexican lime or key lime (Florida Keys) for locations of commercial production. Molecular data indicates that the lime’s female parent was Citrus micrantha, a Pepeda native to the Philippines. The male parent was Citrus medica, a juiceless citron with a thick aromatic rind that was the first cultivated citrus. C. medica was traditionally believed to have originated in India. However, recent DNA studies suggest a phylogeny that places C. medica in close relationship with wild citrus from New Guinea, Australia and New Caledonia. Citrus cultivation radiated from India along with civilization, but similar names for different citrus make the lime impossible to track separately. Fourth century B.C. writer Atiphanes said citrus reached Greece from Persia. Ancient Rome had limes, lemons and citron, but not oranges. An 1178 A.D. Chinese agricultural treatise listed 27 citrus, including limes. Around 1300, Italian medical writer Matteus Silvaticus listed citron, oranges, lemons and limes as the known citrus. The Spanish introduced lime cultivation to their West Indies colonies in the 16th century. The British navy began to treat scurvy, a vitamin C deficiency, with lime juice in the 19th century and provisioned its ships with citrus from the British colonies of Antigua and Barbados in the West Indies. Limes were preferred over lemons, because lime juice contains almost no sugar and is less susceptible to fermentation. Sailors received lime juice preserved with 15 percent rum. A patent for preserving lime juice with sulphur dioxide launched a Caribbean “Lime Juice Cordial” industry in the 1860s. Limes were crushed between rollers at sugar cane mills. Juice was decanted into wooden vats and allowed to settle. After two weeks, clear juice was drawn off, sweetened with sugar, treated with sulphur dioxide and sealed in casks. Current production technique include adding calcium carbonate to shorten settling time. The juice is sweetened with cane syrup and pasteurized before bottling. Lime growing reached south Florida from the Caribbean during the 1830s, with limited commercial production by 1880. Early groves in the Keys were planted in natural potholes filled with composted soil. Later groves were planted in rows of potholes blasted into limestone bedrock. Lime growing expanded after a 1906 hurricane destroyed a small pineapple industry. Key limes were widely distributed by the late 1950s. Growers reduced lime acreage just after the year 2000 due to citrus canker infection and falling wholesale prices. Imported limes supply the U.S. market, where 2007 consumption was 3 pounds per capita.